Its the first time for me to bought (don’t have such technique to get it in game centre..) Banpresto SQ prize figure. 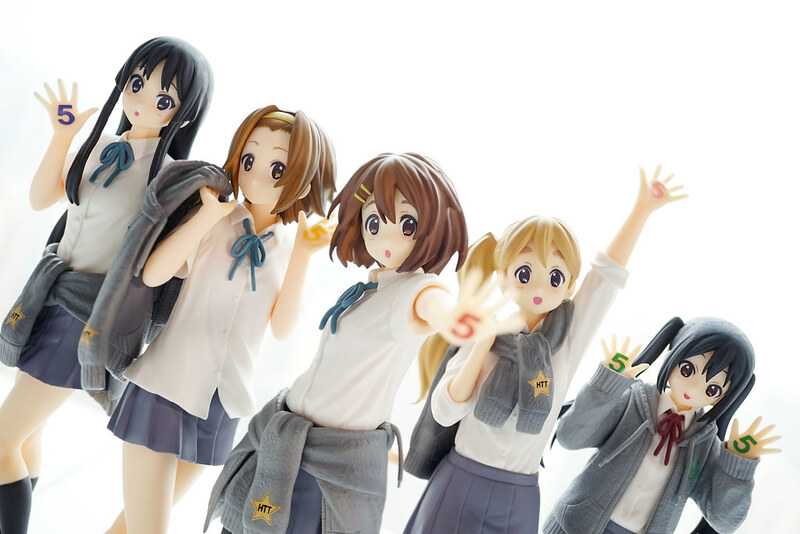 Wish to know how well could be done for those prize figure under 1500yen, and anyway quite happy that there still K-ON new figures to be released nowadays. The size is around 1/8. 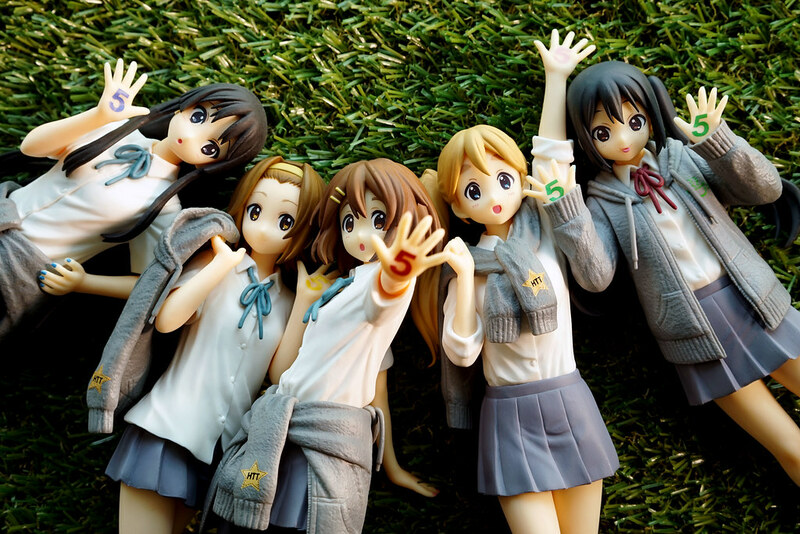 Yui, Mio and Azusa could stand without the base. 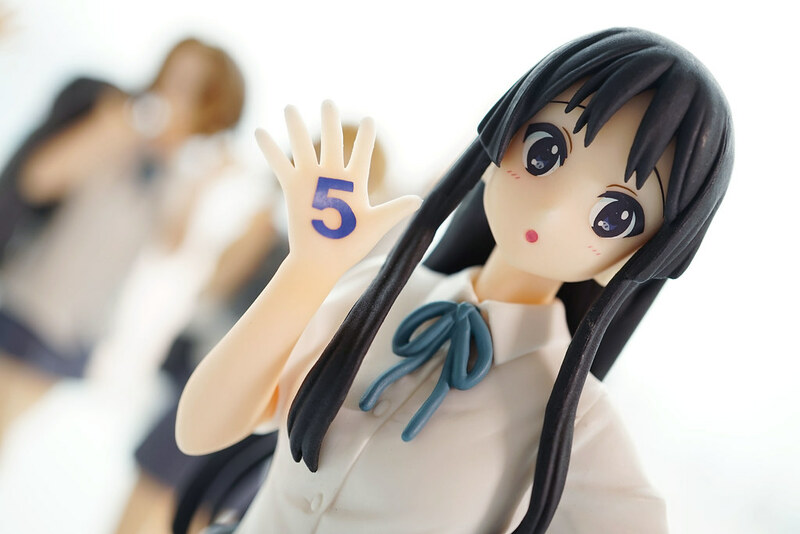 The digit “5” are printed on their hands that resemble 5th Anniversary. 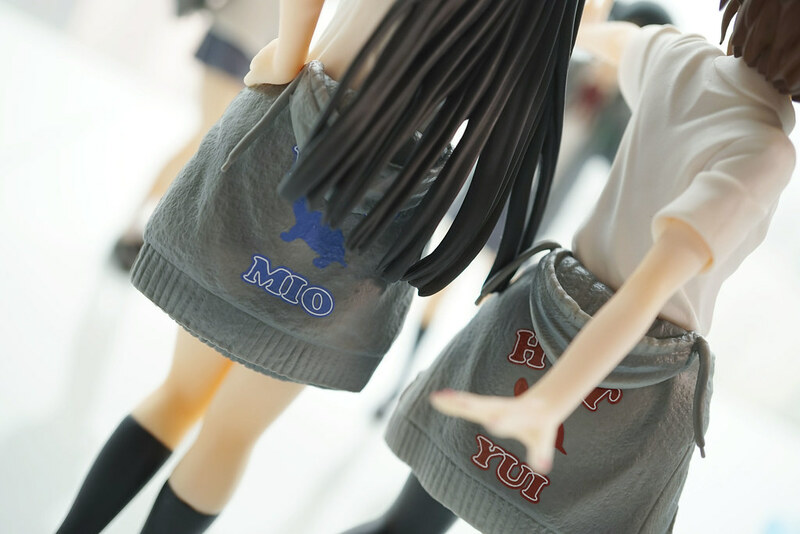 On the back of their hoodie, there are HTT, Ton-chan’s silhouette and their name. 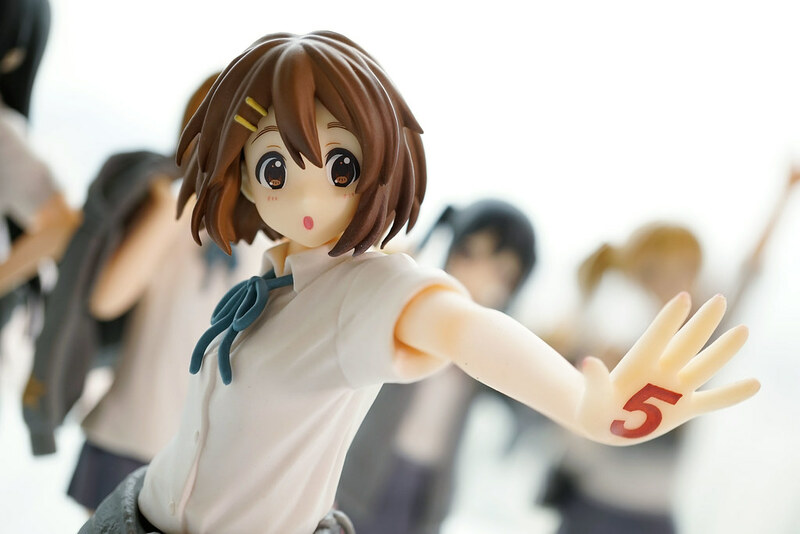 Hirasawa Yui. The pose just like releasing magic?! Tainaka Ritsu in a boyish pose. Well the line of the mouth isn’t printed clearly. Kotobuki Tsumugi. Different hair-style but still look elegant and cute. Nakano Azusa. Would it be better to have a smile face instead of the tongue struck out? 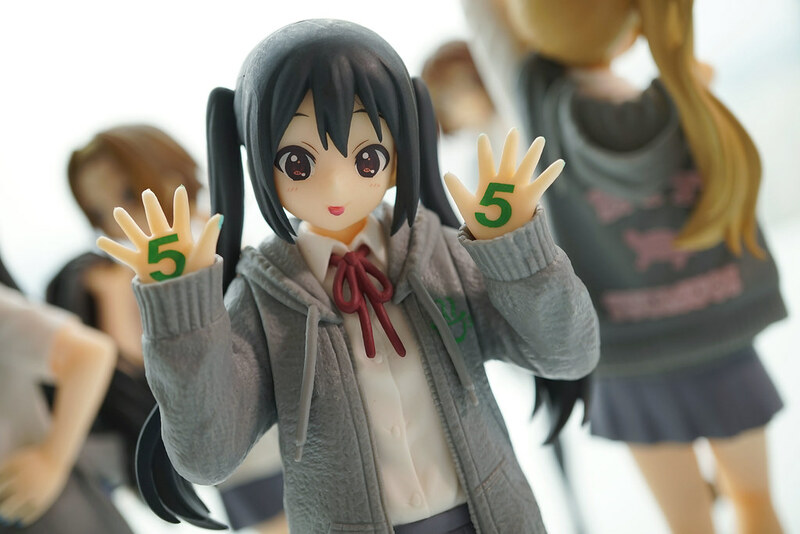 There was number “5” printed on both hand, so it means 10?! Perhaps it isn’t be a perfect without musical instruments, I am still satisfied with the quality and price. 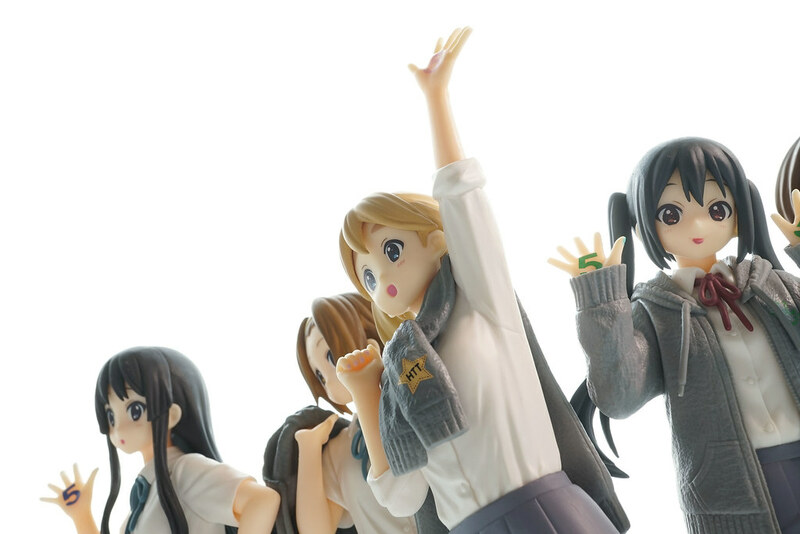 Still don’t know if I would order the scale figure…Thats all for the “K-ON!5th Anniversary♪” SQ Prize figures. 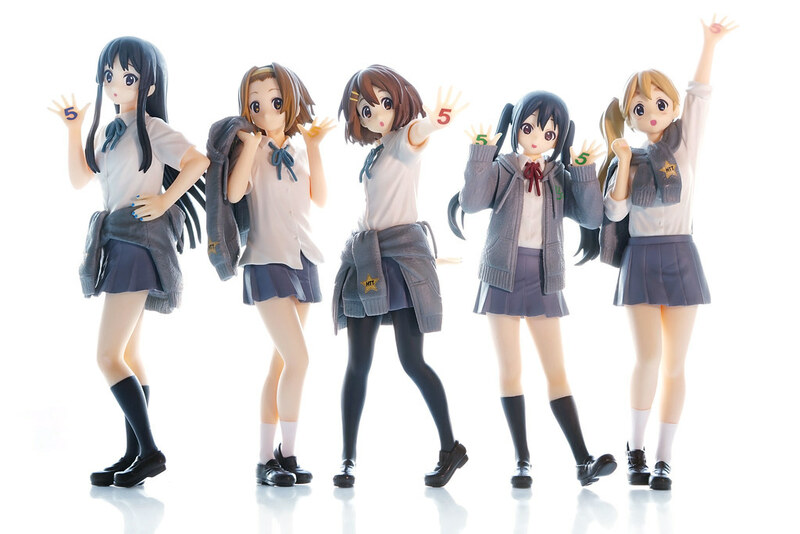 Time sure goes by quick, it’s already 5th anniversary of K-On. 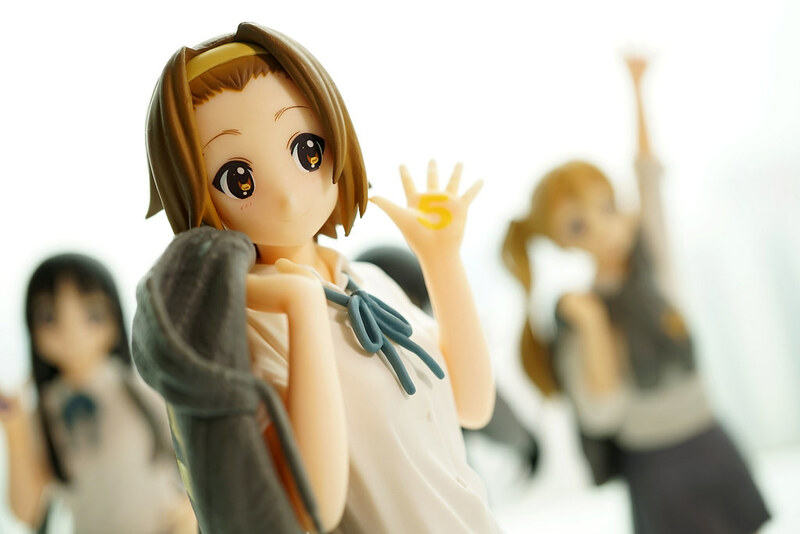 Prize figures’ quality are usually just average, but this set appears to be pretty well done. 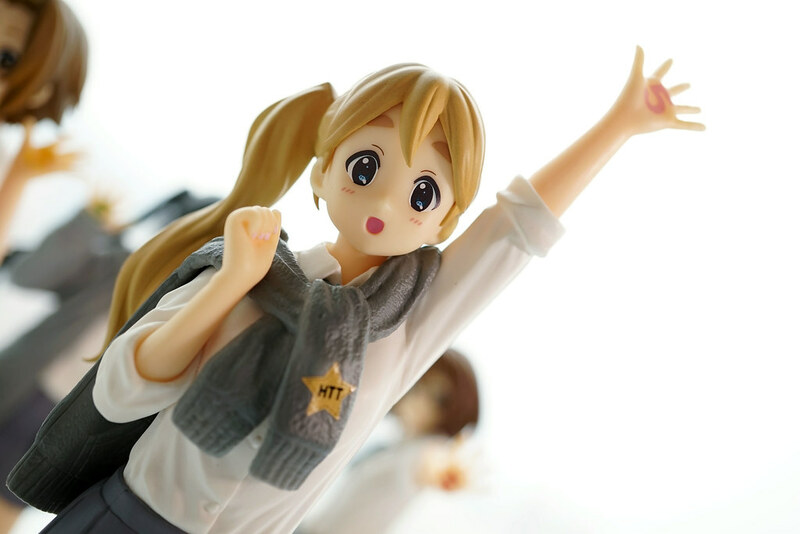 I didn’t buy this set but I did order the animaru stronger 1/8. 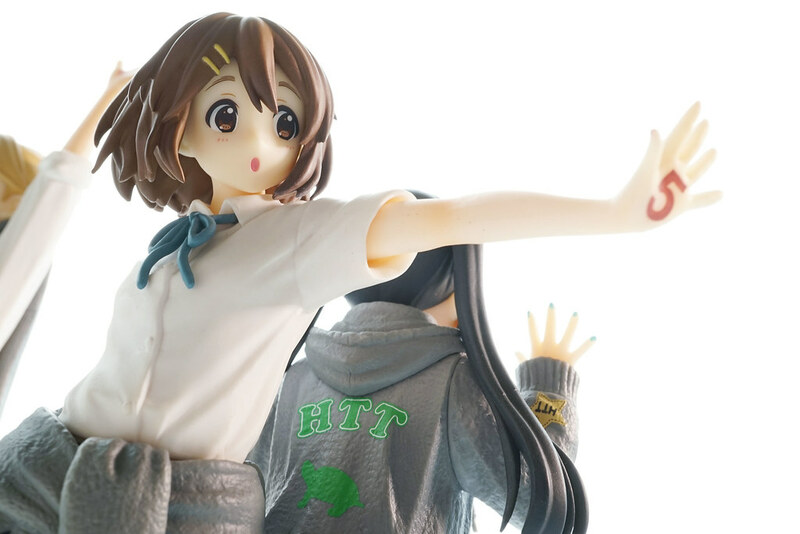 After reading the interview of the model sculptor, I also went to order the animaru 1/8 Nakano Azusa. 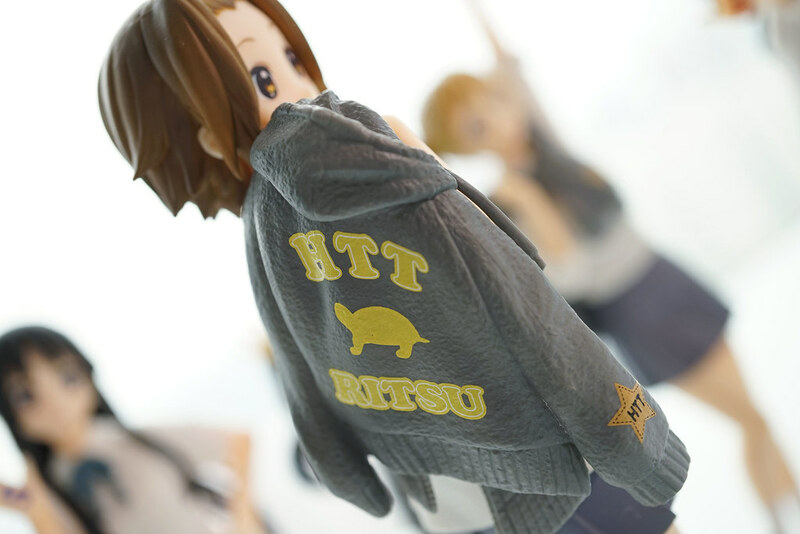 I could feel the passion that he put on this scale figure, and hopefully they will release all HTT members.